As I mentioned in the previous post, women in Korea after the Korean War during 1960s to 1970s (of course women workers were still working hard in 1980s as well) made a significant economic growth. After that period, the majority of middle-aged males led the remarkable economic growth in manufacturing especially 1970s to 1980s. Men as breadwinners and women as housewives were considered as a matter of course. Thus becoming a full time housewives was a common thing after marriage for women and being a ‘wise mother and good wife’ was dreaming image for married women in Korea at that time. Most married women during 1980s had to quit their jobs because they had less opportunity to work in the company compared with married men. Married women became ‘wise mother and good wife’ to raise their children and support husbands at home, whereas married men’s duty was ‘working hard to support their family’ as breadwinners. So Korean men worked the longest hours in the world because they had to work from early morning to midnight and even during the weekends. For this reason, most Korean families became ‘father-absent and mother-involved’ family. Role of mothers is increasingly significant for their children because most families were ‘father-absent and mother-involved’. At the same time, mothers made sacrifices for their children and they especially gave full support of their children’s education. So ‘the swish of skirt’ was occurred among mothers in 1980s and 1990s. And it still remains. I will write about ‘the swish of skirt’ for next posting. Posted on 11 Jan 2016 11 Jan 2016 by moon ajummaPosted in Smart Ajumma (English)Tagged 1980s, ajumma, Korean women, married women, Patriarchal society. 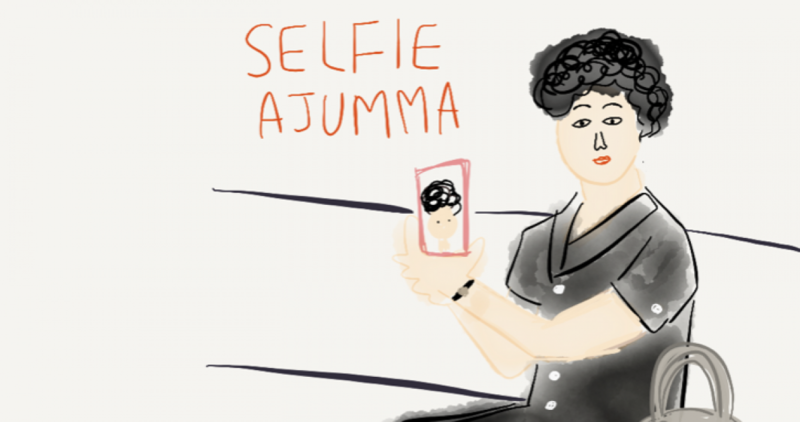 Previous Previous post: Ajumma is FAST! 아줌마는 빠르다!